England supporters are raving about Callum Hudson-Odoi on Twitter after his superb display against Montenegro on Monday night. The 18-year-old was handed his first ever start at international level in an important Euro 2020 qualifier for Gareth Southgate’s side and he rewarded the manager’s faith in him with an assured display. The Three Lions ran out 5-1 winners on the night thanks to a Ross Barkley brace and goals from Raheem Sterling, Michael Keane and Harry Kane. 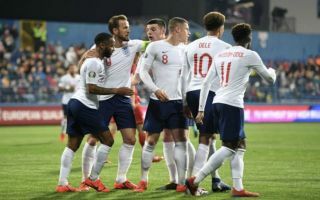 The comprehensive victory ensures that England maintain their 100% start in Group A, having also picked up a 5-0 win at Wembley against the Czech Republic last Friday. Hudson-Odoi managed to stay on the pitch for the full 90 minutes in Montenegro, which is a testament to how involved he was in England’s general build-up play. The Chelsea starlet even managed to provide the assist for the all-important second goal just before half-time, tricking two defenders with quick dummies before firing in a shot which Barkley diverted into the net. 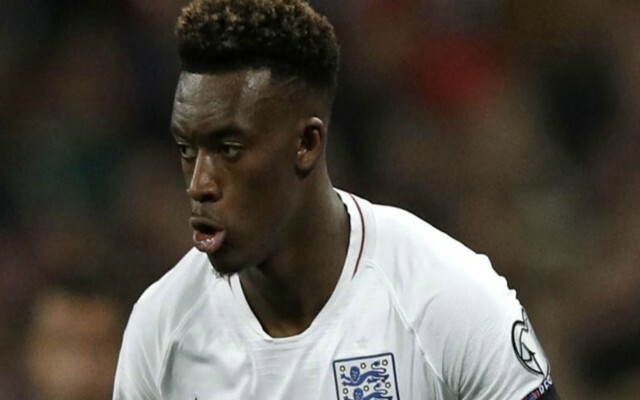 Some England supporters took to Twitter to single Hudson-Odoi out for his lively display, with one onlooker describing him as “something special”. Callum Hudson-Odoi is something special. His movement is so sharp. Many Chelsea fans also weighed in on the teenager’s latest exploits, taking aim at Stamford Bridge boss Maurizio Sarri for failing to grant him regular playing time this season. Hudson-Odoi has found minutes hard to come by generally, with most of his appearances throughout the 2018-19 campaign at club level coming in the Europa League. Perhaps the Blues head coach will change his stance on the English winger when he returns from international duty, as he continues his meteoric rise to the top. Check out some more comments from Chelsea and England fans below, via Twitter. #MONENG #ThreeLions #EnglandAway great performance and a great result special praise to Hudson Odoi and again sterling and obviously Southgate is doing a top job?????? ?